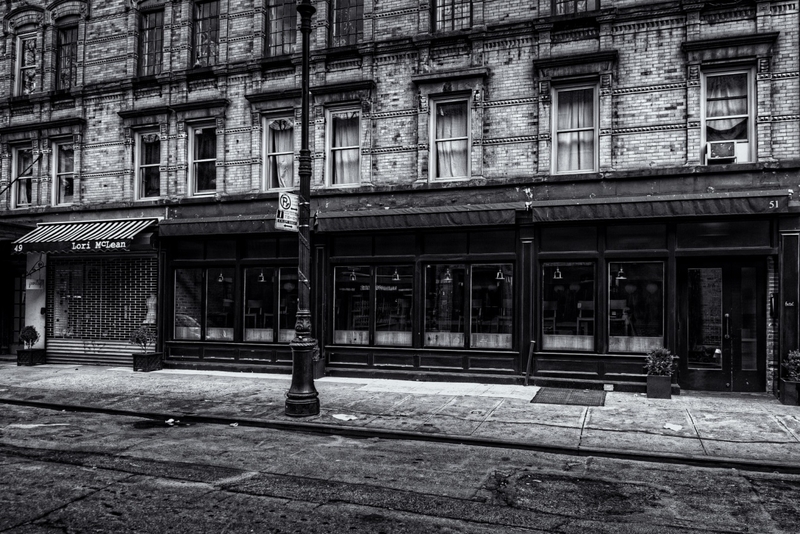 Black and white HDR image of the restaurant Betel, which specializes in southeast Asian fare, at 51 Grove Street in the West Village. It feels like I haven’t processed something like this, with the detail all punched up, for a while. Boy, the black and white and detail sure gives this an timely feel to it! Great shot! Really cool facade… the B/W works really well here. Spending some time catching up on past images and this one jumped off the monitor at me. Spot on with the black and white treatment, very well done.